The new BMW X5 M is extreme power; it holds the M badge, which makes it superior than BMW X5. BMW motor sport division has built its repute and now with M badge they have created a luxury SUV. Big, heavy and tall X5 M looks amazing like M cars come before. And X5 M no doubt is one of the best sporting SUV ever created. BMW has good repute with powerful X5 before, but this is the first time BMW X5 has officially received the M treatment. As compare to other M cars, X5 M gets an exclusive engine. It is twin turbocharged, directly injected V8 that produces extreme 555 horsepower and 501 pound feet of torque. If we compare X5 M with Porsche Cayenne Turbo S, it is 5 times more powerful and almost $40,000 less. There are number of other modifications to make X5 M handle like a sport sedan. X5 M comes with a standard 20 inch tyres and special sports tuned suspension with adapted dampers to make it more superior. The X5 comes with DPC (Dynamic Performance Control) what they call it. It is a sophisticated torque distribution system that works to provide more power where needed most in all wheel drive. The BMW X5 M is pretty much like BMW X5 with high quality interior, comfortable seats and other luxury features like, hard drive based navigation system. The new version of iDrive makes it more luxury with rear entertainment system. Net Gross Weight: 6405 lbs. The new BMW X5 M delivers massive power with its twin turbocharged 4.4 litre V8 engine. Six speed automatic with manual gears is the only option in transmission. BMW X5 M reaches 0-60 MPH sprint in 4.7 seconds when properly equipped. Fuel economy is not good as it is only 12mpg in city, 17mpg highway. Like BMW X5, it is the safest car to drive. The overall ranking for the safety of driver is excellent and the overall safety is also excellent. The test claimed to show 5 out of 5 safety results, but crashed tests not been conducted. The special M badge makes the X5 M interior more superior than simple X5. Seats are luxury and comfortable with high quality material used. And iDrive is more user-friendly with physical buttons. 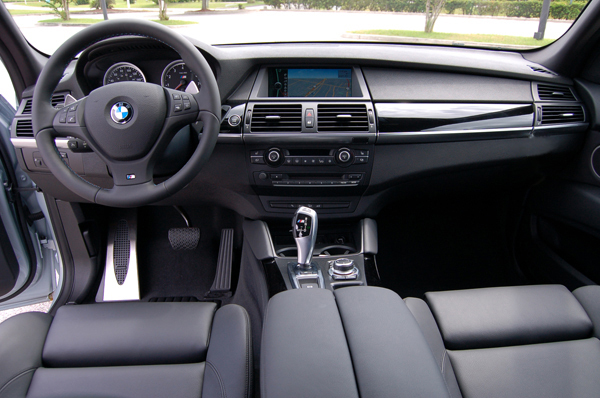 The gear box is similar to X5 with separate Park button. 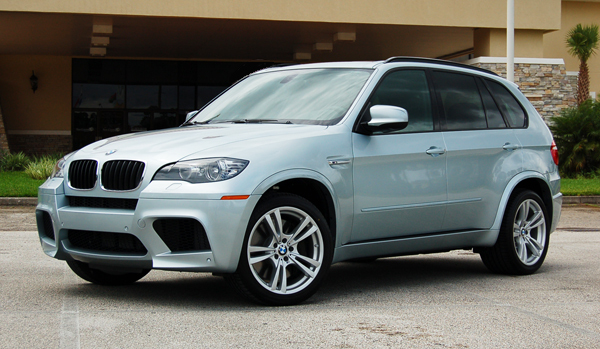 X5 M provides more space with 75 cubic feet for cargo. The BMW X5 M high-tech mechanical bits helps to handle better than any other mid-sized SUV’s. The grip of BMW X5 M also amazed the professionals, which makes it a superb car. The price is relatively less than other comparable SUVs with the base price of $85,400. You can add other modification which will make it more costly. You really cannot ignore the BMW X5 M when you are in market with other SUVs like Porsche Cayenne or Audi Q5/Q7. 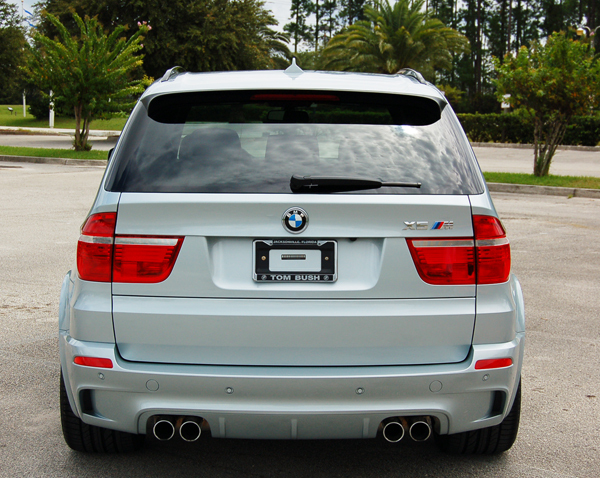 If you are a car enthusiast, then you will love the BMW X5 M. The exhaust sounds that it makes, attract the ears. It is the best recommendation if you are looking for mid-sized SUV with sports package.